If you’re a driver looking for power, luxury, and advanced onboard tech, you’ve stumbled across the right vehicle. The 2019 Buick Regal has everything the modern driver is looking for and more. On one hand it is known for its impressive performance, while on the other it is known for its luxurious cabin and high-tech entertainment and safety features. Combine these incredible attributes with its competitive fuel efficiency, and you have a perfectly well-rounded midsize sedan. When we say that the 2019 Buick Regal is powerful, we mean it. This sedan performs at the top of its class in terms of horsepower, acceleration, and handling. In fact, this luxurious beauty can produce up to 310 horsepower and 295 lb-ft torque. And with consumer-favorite features including a heated steering wheel, heated driver and front passenger seats, and leather seating, it’s safe to say that you’ll be riding in luxury while you enjoy the performance of this power-house of a sedan. In terms of entertainment and safety technology, Buick made certain that the all-new Regal came equipped with the most advanced features possible. Drivers looking forward to enjoying the onboard entertainment will be happy to discover that the 2019 Buick Regal includes an available 8-speaker Bose Premium sound system, 8-inch touchscreen display for the Buick Infotainment System, Navigation, Bluetooth, USB charging-only ports, Apple Carplay and Android Auto, and much more. For safety, the Regal offers a plethora of advanced features including Adaptive Cruise Control, a Rear Vision Camera, Lane Keep Assist with Lane Departure Warning, and Rear Cross Traffic Alert. Overall, the 2019 Buick Regal is able to meet the needs of nearly any driver. Prioritizing power, safety, entertainment, luxury, convenience, or efficiency? The Regal has it. So, no matter what you’re looking for in a midsize sedan, the 2019 Buick Regal might be the right choice for you. To help you reach this decision, we’ll take a closer look at this impressive vehicle across some of the most important automotive categories. When it comes to performance, the 2019 Buick Regal is more powerful than sporty. However, it certainly does not disappoint in this category. The standard engine available on this sedan is a 2.0L 4-cylinder engine achieving up to 250 horsepower, while a 3.6L 6-cylinder engine is available for drivers looking to produce an impressive 310 horsepower. The 2019 Buick Regal is available in both all-wheel drive and front-wheel drive, with one of the major differences between these two options being the all-new 9-speed automatic transmission available with FWD and an 8-speed automatic transmission. As far as acceleration, the Regal performs quite well for a sedan of its size and is able to reach 60 mph in just 6.2 seconds. Drivers and critics also report smooth and responsive handling, with easy maneuverability. For drivers seeking a more sporty ride, critics recommend the 2019 Buick Regal GS. This model comes equipped with the upgraded 3.6L V6 engine and the new 9-speed automatic transmission manufactured by GM. This model further improves its performance by allowing drivers to choose from a variety of driving modes, including GS and Sport mode. The suspension and handling on this model of the 2019 Buick Regal allows drivers to enjoy an even smoother and sharper ride. Overall, it is clear to drivers and critics that the 2019 Buick Regal is at the top of its class when it comes to performance based on its impressive horsepower, handling, and suspension. Between the standard and available luxury features across its five trim levels, as well as the available package options, drivers are sure to experience exactly the amount of luxury they’re looking for in a midsize sedan. If you’re looking for the latest in every category of automotive technology, you’ll enjoy everything that the 2019 Buick Regal has to offer. Many of these impressive features are offered standard among the lower trim levels, while others are available among mid to high trim levels at an affordable price. When it came to onboard tech, Buick made sure that even the most advanced features were made available for a fair and competitive price compared to other vehicles. The 2019 Buick Regal is on the larger side of the mid-size sedan category, which would lead many drivers to think that it may sport a low fuel efficiency rating. However, compared to other sedans in its class and of a similar size, the 2019 Buick Regal is surprisingly efficient earning up to 22 mpg in the city and an impressive 32 mpg on the highway. This combines for a rating of 26 mpg, making it a competitive contender on the market. It should be noted that drivers opting for the sportier GS model will experience a slightly lower fuel efficiency rating in exchange for greater power. Additionally, choosing the all-wheel drive powertrain over the front-wheel drive powertrain will decrease the vehicle’s efficiency to about 21 mpg in the city and 29 mpg on the highway. Although this is lower than what the Regal’s standard configuration earns, this is still a respectable and competitive fuel efficiency rating. At Carl Black Roswell, we strive to be the ultimate place for your car-buying experience. Offering an extensive inventory, on-site finance center, service department, and a helpful team of Buick experts, you can complete each phase of your car-purchasing process right at our dealership. Whether you’re interested in checking out the 2019 Buick Regal or any of our other new, used, or certified pre-owned vehicles, you’ll be guided through our high-quality inventory by a knowledgeable member of our sales team. When it comes time to finance your Buick, our finance team will be at the ready to discuss your monthly budget and desired payment options. Worried about less than perfect credit? Our finance team is well-connected with local and national lenders and will utilize all of their knowledge and resources to help you secure the financing you need for your next vehicle. At Carl Black Roswell, we try to make financing your vehicle as enjoyable as picking it out. Once you purchase a vehicle at our reputable dealership, you’ll remain a valued customer for life. To continue to care for your vehicle, our service center will help you create a customized maintenance schedule based on your car and personal needs. So, when it’s time to purchase your next vehicle, stop by our dealership, give us a call, or check out our helpful website. 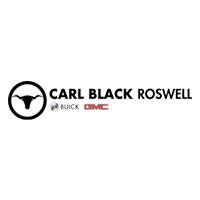 You’ll soon see why Carl Black Roswell is the best choice for purchasing your next Buick vehicle.